Kepler completed its prime mission in 2012, and collected data for an additional year in an extended mission. 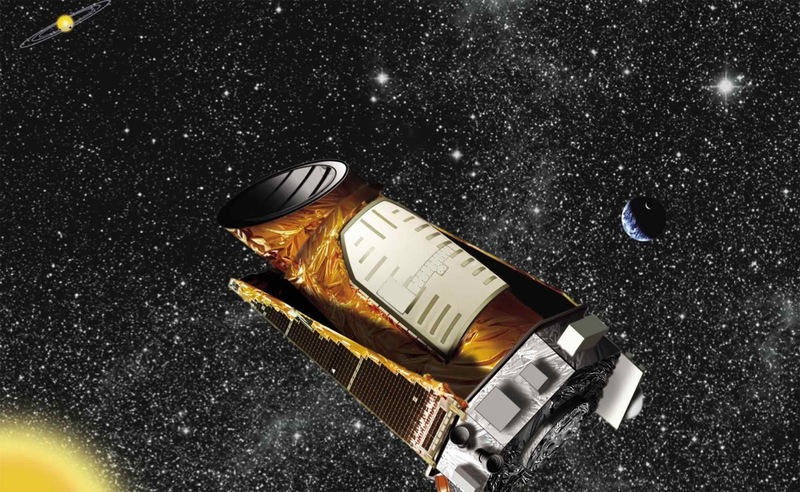 In 2014, the spacecraft began a new extended mission called K2. 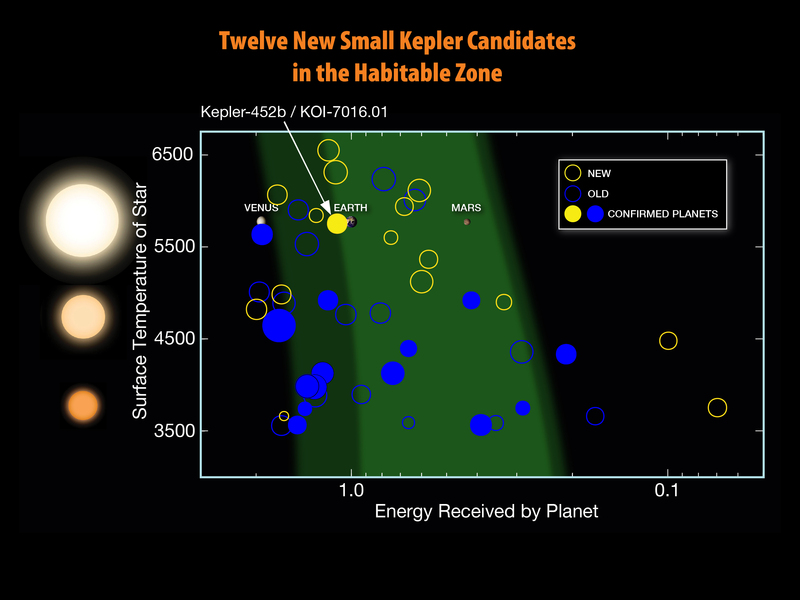 K2 continues the search for exoplanets while introducing new research opportunities to study young stars, supernovae and other cosmic phenomena. 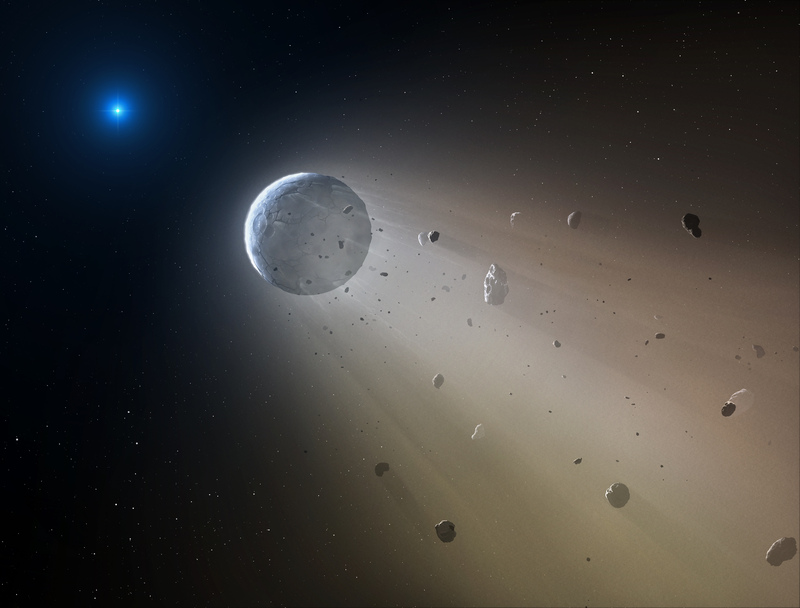 In this artist’s conception, a tiny rocky object vaporizes as it orbits a white dwarf star. 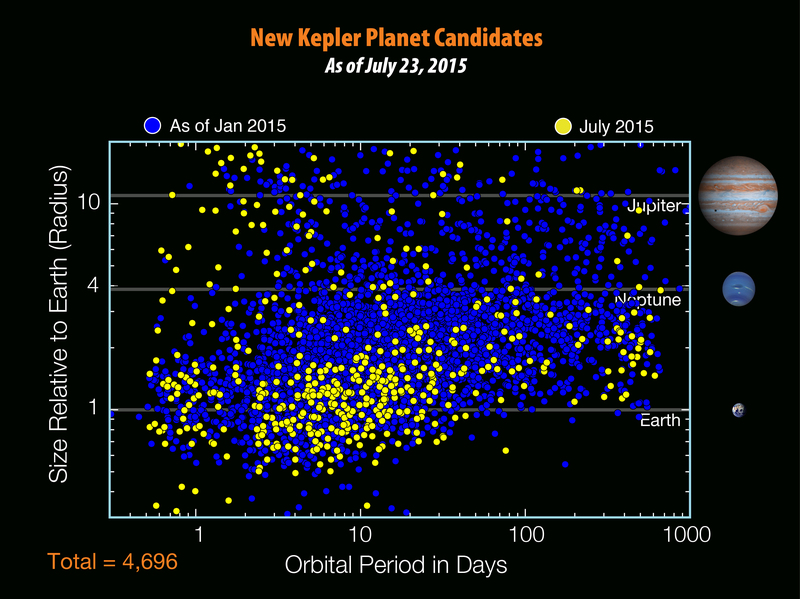 Astronomers have detected the first planetary object transiting a white dwarf using data from the K2 mission. 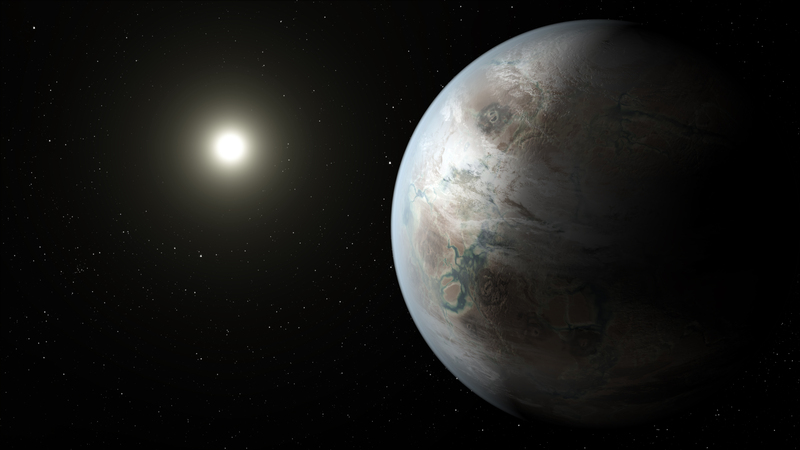 Slowly the object will disintegrate, leaving a dusting of metals on the surface of the star. 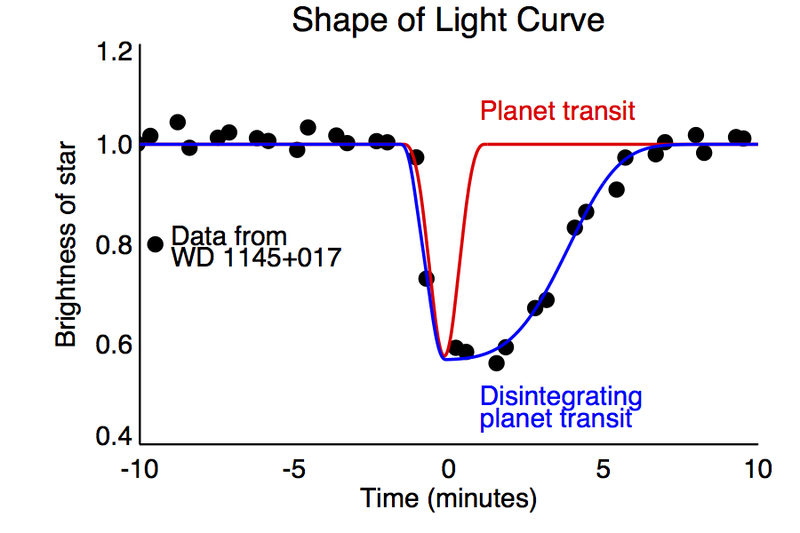 The diagram depicts a model of light curve shapes. 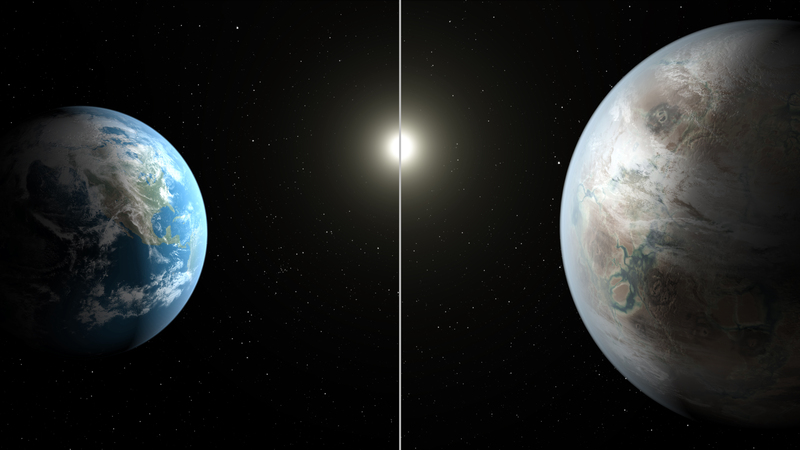 The red line indicates the symmetric shape of a hypothetical Earth-size planet transit while the blue line is the asymmetric shape of the tiny disintegrating planet and its comet-like trailing dusty tail. 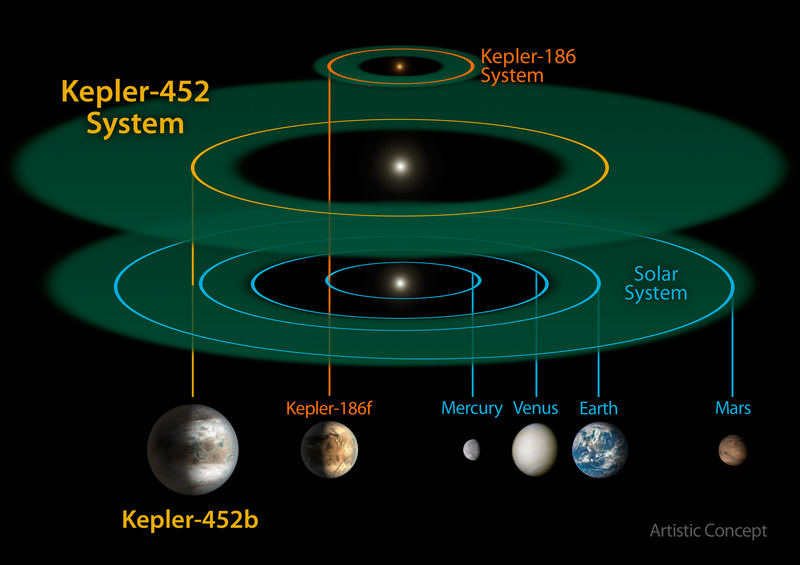 The black dots are measurements recorded by the K2 mission of WD 1145+017.